Sandra and Paul rescued their one-year-old dog Rusty from Romania, but she has bad hip dysplasia and slipping kneecaps in both hind legs. ‘The bottom line is you have a long journey in front of you friends, and that journey will involve two surgeries, one on each side, where you treat the knee and the hip at the same time,’ Noel warns. The couple make the heart-breaking decision to tell Noel that if the micro hip replacement surgery doesn’t go to plan he should let Rusty go while she is under the anaesthetic. 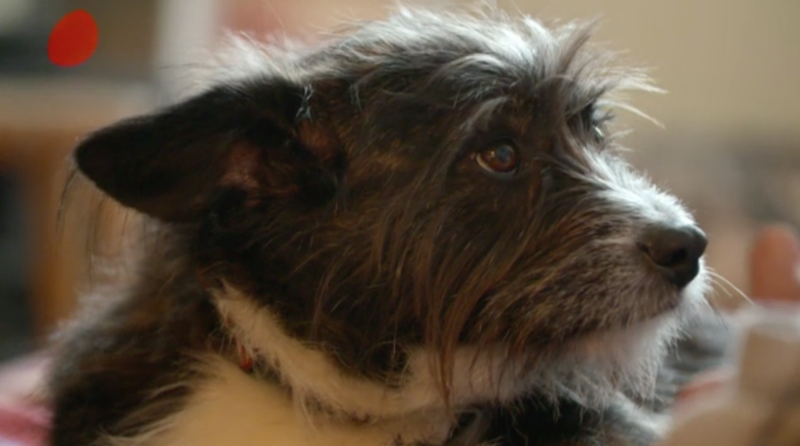 The pressure is on for Noel to save the life of a young dog with a tragic history of neglect. Rusty lives with Sandra and Paul, and their three other dogs. The dogs play an essential part of their lives. Sandra has a friend who works with dogs over in Romania rescued Rusty via her. When Sandra saw Rusty she fell in love instantly. Rusty had severely dislocated hips and, being such an advanced problem, it required specialist attention. 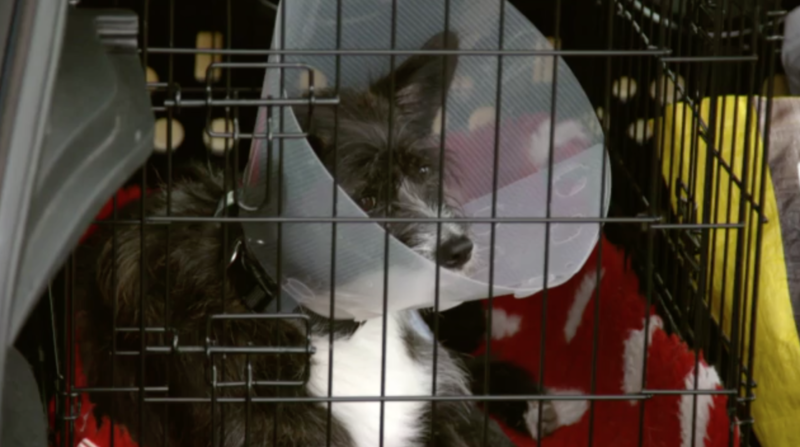 The couple were referred to Noel at Fitzpatrick Referrals to see what was possible. When examining Rusty, Noel explained to Paul and Sandra that the head of Rusty’s femurs no longer sat in their respective hip joints, and that this would have resulted in the bones painfully rubbing together wearing the cartilage away. He also found that Rusty’s patella’s (kneecaps) were loose and frequently slipped out of place in both of her back legs. Because Rusty was affected so badly in both legs, her options were very limited; Noel proposed that the best option would be to treat all four problems in two separate surgeries by operating on one hip and one knee each time. 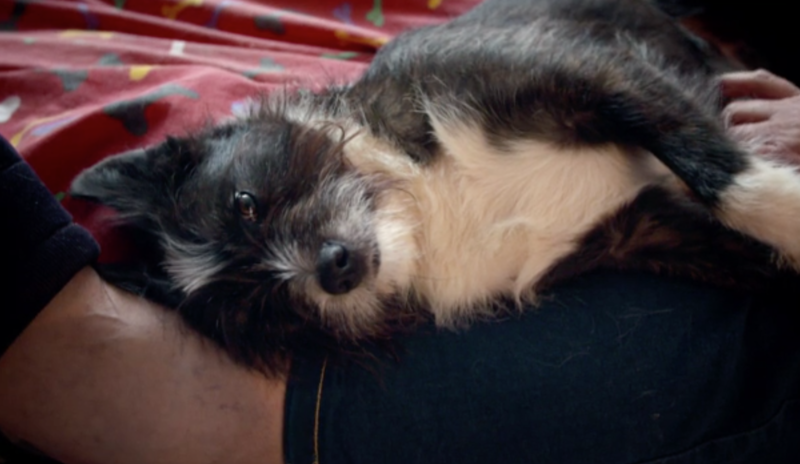 The couple made the heart-breaking decision to give Noel permission to not wake Rusty up if the surgery proved impossible to achieve. Noel operated on Rusty’s left back leg first. For the hip replacement, first Noel removed the damaged head of the femur and then drilled out the bone of her pelvis to create a new ‘socket’ joint. As the ‘socket’ of Rusty’s joints had previously been very flat and unable to hold the ‘ball’ of the head of the femur in place, Noel had very little bone onto which he could secure the cement which would hold the plastic cup that would form the new ‘socket’. To combat this, he drilled a screw into her pelvis and used this to secure the cement around, that itself held the new plastic cup ‘socket’ in position. Noel then drilled out the femur shaft and inserted a metal stem with a ball attached that would slot into the plastic socket, forming the ‘ball’ and ‘socket’ joint once more. Next, Noel addressed Rusty’s slipping kneecap, by tightening the surrounding connective tissue. Once the left leg has healed – Noel plans to repeat the procedure on her right hip and knee, but in the meantime, Rusty would need plenty of rest and rehabilitation to heal. When Rusty came for her six week check up with Noel her hip replacement was doing well but, sadly, her left knee was still slipping out of place and required a more invasive surgery to correct. Noel cuts out and repositions Rusty’s tibia to create a trough in which the kneecap could sit and glide easily, without slipping out of place. Three weeks later, Rusty’s left leg has finally healed enough, that Noel is able to repeat the same procedures on her right leg, this time doing the more invasive kneecap surgery in the first instance. After another period of intensive physiotherapy and hydrotherapy, Noel is ready to send Rusty home for further recovery. Noel is happy with the surgery on Rusty’s right leg, but the kneecap on her left leg is still causing him concern. Noel hopes that as the muscles in her legs strengthen with physiotherapy and hydrotherapy that this will be enough to keep the kneecap secure and stable, but only time would tell. 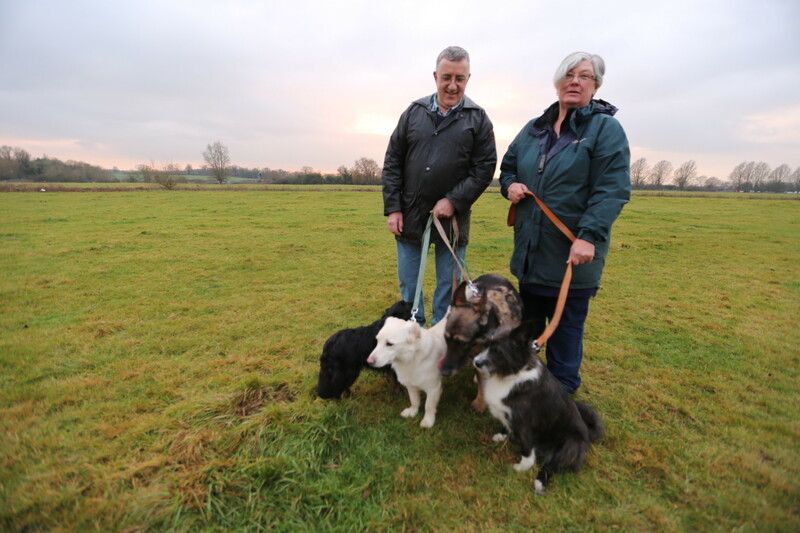 In the following weeks, Sandra and Paul followed a strict programme of rehabilitation with Rusty, and hoped that it would be enough to avoid her needing another surgery. When Noel saw her again for a final check-up a few weeks later her muscle mass had improved greatly and she was able to move around without pain or discomfort. On examination, her left kneecap was still slipping, but to a much lesser degree than before. Noel explained that many dogs can live full and happy lives with this degree of slipping. Seven months later Rusty is catching up on her lost puppyhood, having a wonderful happy time running freely without any pain.